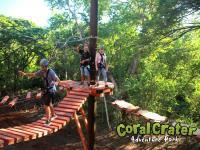 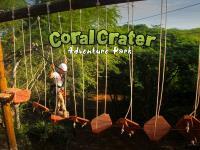 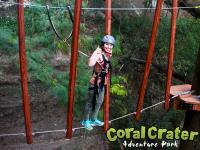 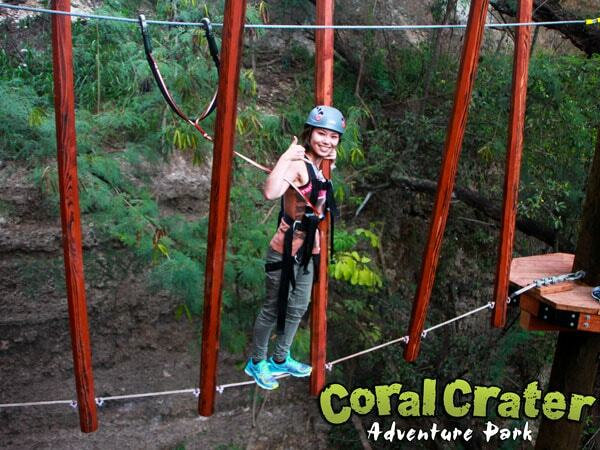 Experience the only Adventure Tower on Oahu at Coral Crater Adventure Park.  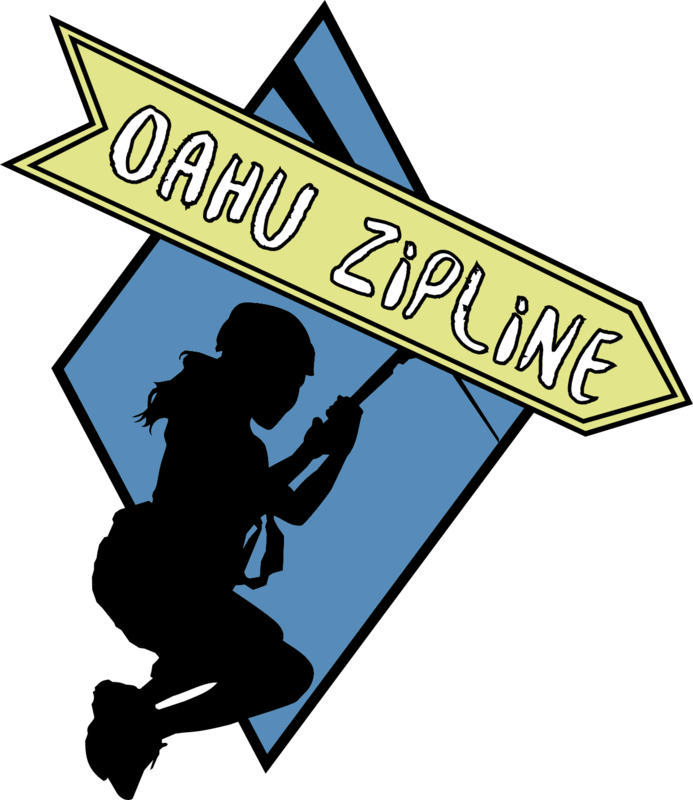 It’s not a zipline, but you'll be jumping, climbing and swinging high above the ground for an equally exhilarating adventure! 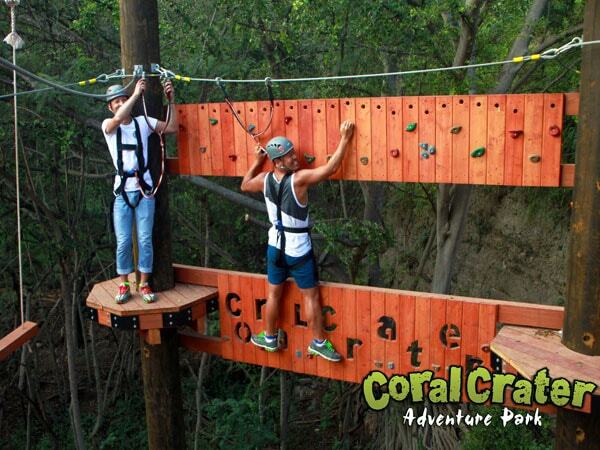 At the 50-foot tall Adventure Tower you'll be met with 18 challenge elements. It's the perfect place to complete obstacles in a secure environment. 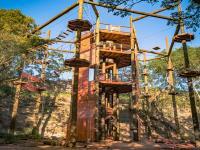 You'll be safely harnessed in and can have a great time navigating the tower. 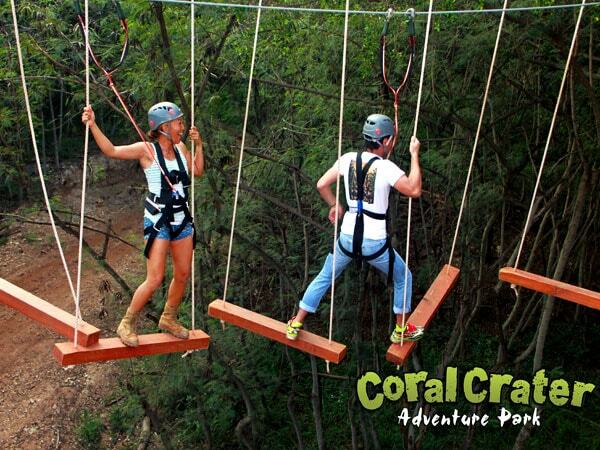 This package also features a turn on the Freefall & King Swing to complete your adrenaline pumping activity. 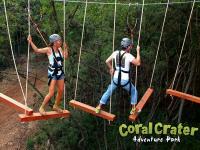 Participants must be 4 feet 6 inches to independently navigate the course. 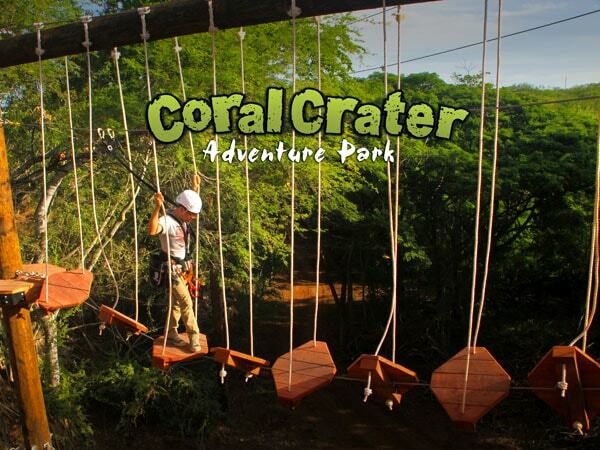 Those shorter than 4'6'' (and at least 6 years old) may still participate, but will require an adult participant to lead them through the course. 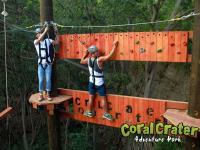 Adult participants can assist a maximum of 2 participants under 4'6''.